I was on the radio for about 40 minutes in Hong Kong this morning. The program was ‘Backchat’ and the subject was the International Baccalaureate (IB). Together with the IB’s Head of Regional Development, John Switzer, I had been invited to answer questions and to share my perspectives on the IB - its philosophy, its good points, and its problems. The College of which I am Head, Li Po Chun United World College, is Hong Kong’s sole IB-Diploma-only school. It is also one of the longest established IB Diploma schools in Hong Kong, as well as being the school that consistently achieves the highest average IB scores. Given that the early United World Colleges helped to establish the International Baccalaureate back in the 1960s, I guess I was an obvious choice for an interview to critique the IB and its contemporary relevance. 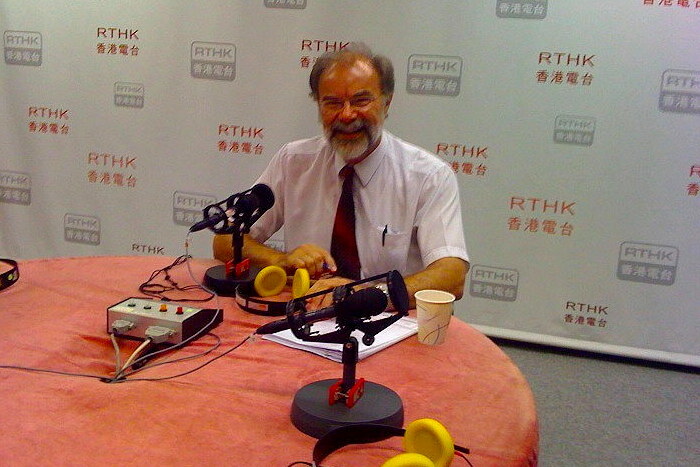 The interview was conducted on RTHK-3, Hong Kong’s main English language radio station. (‘RTHK’ stands for ‘Radio Television Hong Kong’, and it is the SAR’s public broadcasting authority, the equivalent of the BBC in the UK, ABC in Australia or CBC in Canada). The interviewers were Nick Beacroft and Hugh Chiverton, who had also invited the ESF (English Schools Foundation) to send a representative as all the ESF schools are in the process of replacing A-Levels with the IB Diploma. The ESF declined the invitation, however. The interview went live to air, and was scheduled to last from 8:35 am to 9:00 am. However, at the request of the interviewers, the interview was extended to 9:15 am, with a five minute break for the news between 9:00 am and 9:05 am. You can download a copy of the program in MP3 format by right-clicking the RTHK link at the left. The file size is 31.2 MB, and the playing time is 33 minutes and 38 seconds. 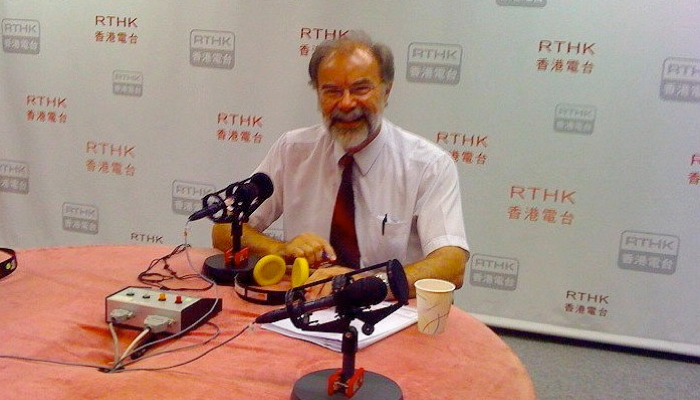 Inside the RTHK studio this morning, just before the broadcast began.